This is a strange game. A few copies appeared on eBay sometime in the first decade of the XXIst century. It was sold as an old game, but there was much doubt about whether it really is. As far as I know, it probably isn't. I have seen it sold a couple of times with notices like "The seller guarantees the authenticity of this game", which I tend to read as "the seller seriously doubts that this game is authentic". 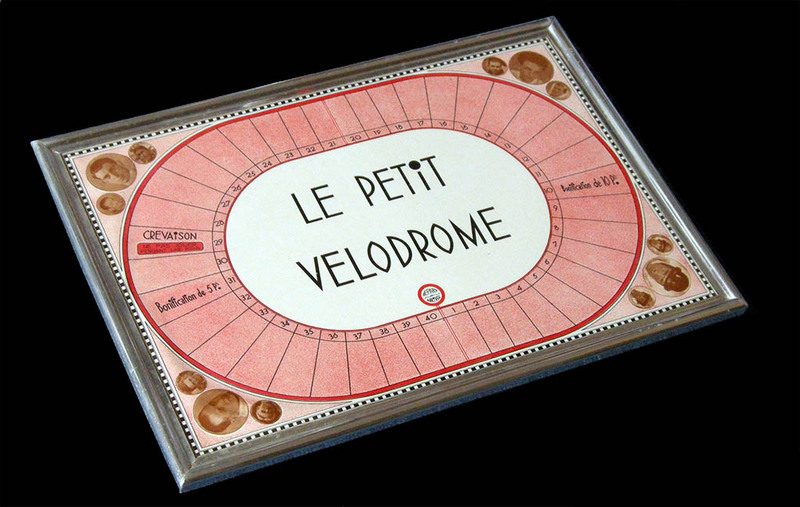 I mean, I have never seen such a notice on a Jeu du Veldiv, if you know what I mean. 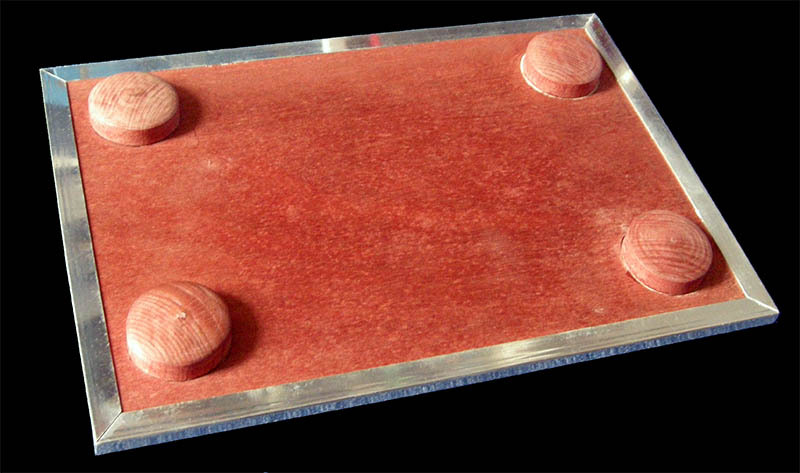 The back of the game is some wood-looking plastic. While this does not say much about the game being a fake or not, it reinforces the impression of something not being just quite right. 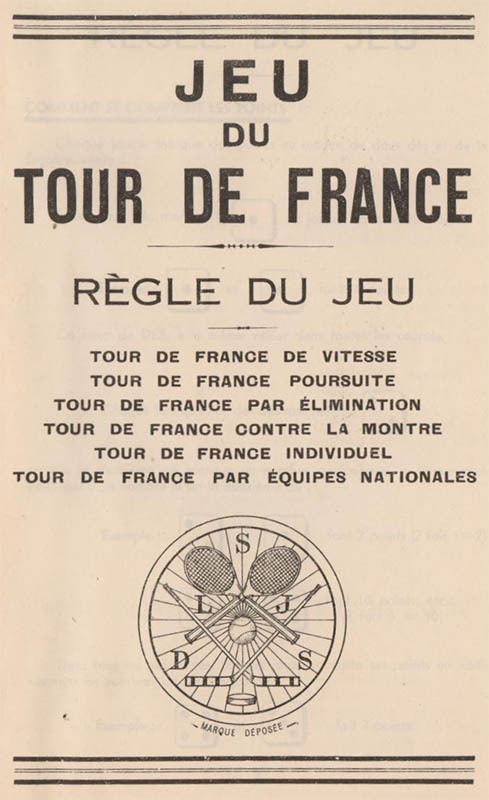 What looked even stranger is that there were at least two other similar games, one almost identical called "Criterium des As" and another not so similar called "Tour de France". 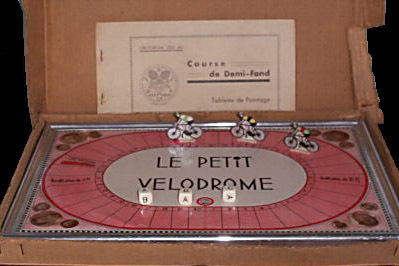 Some of the games featured riders and/or had rules, some did not. 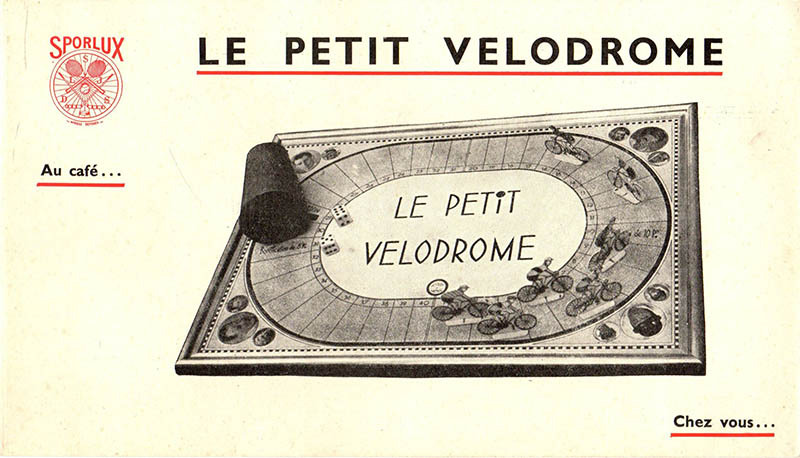 Strangely enough, some of the "Petit Velodrome" games had "Tour de France" rules. Below are a couple of pictures (taken from eBay) in which you can see what I mean. By the way, I won one of these games in an auction, even paid for it, but never received it. 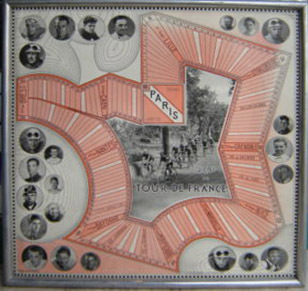 My friend François Cardinet was luckier, he received his game (the one you see on the pictures above) though he has no rules, dice or cyclists. 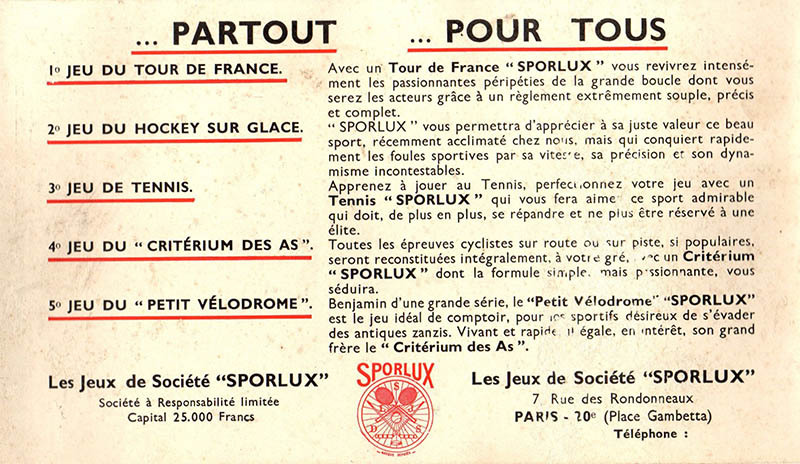 This is all I knew about this one until Didier Maria has sent me the Tour de France rules (which he received with a "Petit Velodrome" board), a "Tableau de Pointage" (also for the Tour de France game) and, a leaflet for some SPORLUX games company which might have made these games. As you can see, it is not so clear that this game is a fake, or maybe, as some collectors think, this is just a sophisticated way to try to "authenticate" the game. 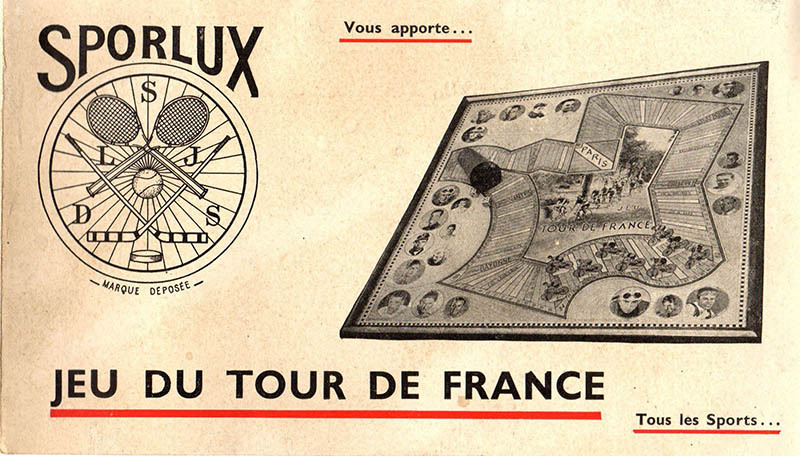 The fact that no one had heard of SPORLUX before, and the strange way this game appeared on the marketplace are suspect. The debate is open. Anyway, when I say that this game is a fake I just mean that it is not so old as it pretends to be. 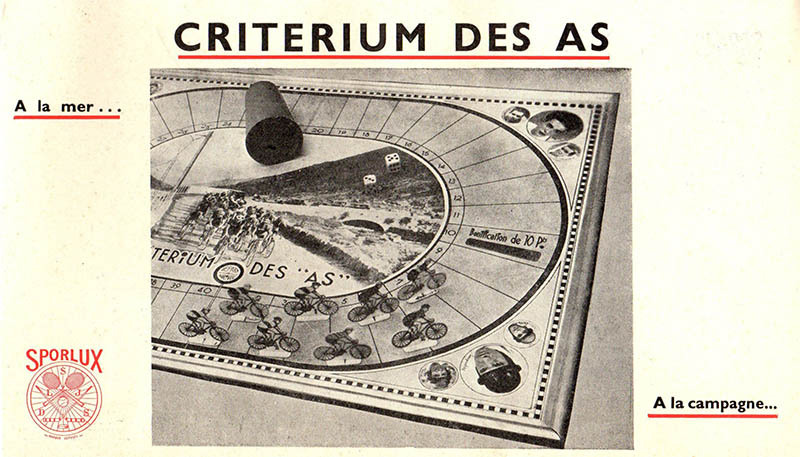 Of course, it is still a cycling game. 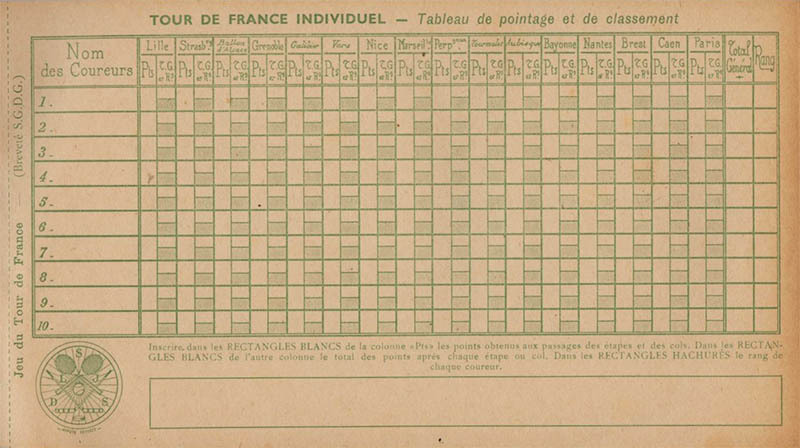 The rules for the Tour de France game look like rules for a track cycling game (and in fact they are), which just adds to the oddity. 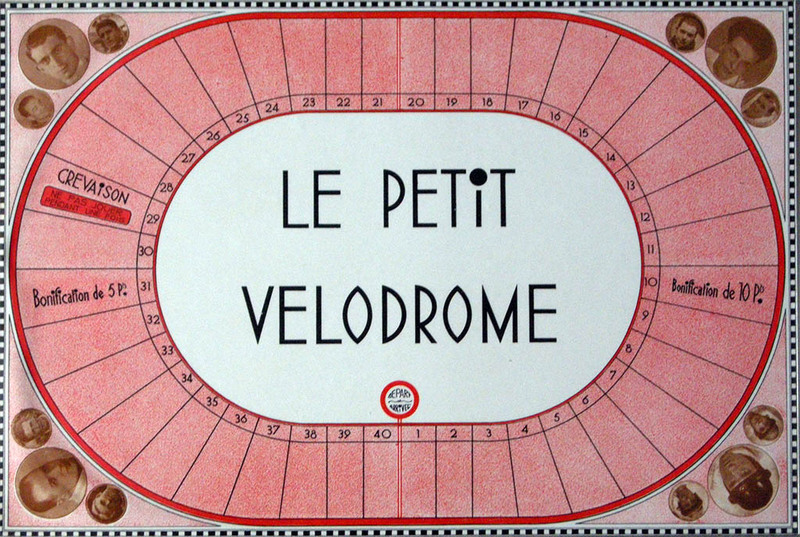 If someone has the rules for the "Petit Velodrome" or "Criterium des As" (or someone needs the complete rules for "Tour de France), please let me know. 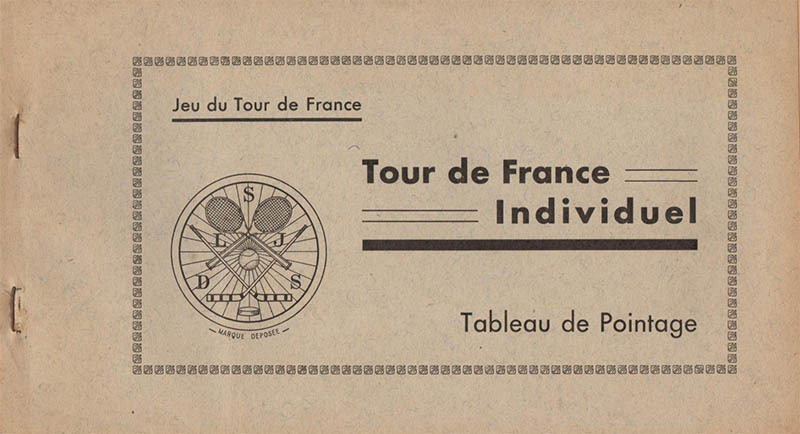 Here is the "Tableau de Pointage"
Thanks to Didier for sending the rules and the promotional leaflet. 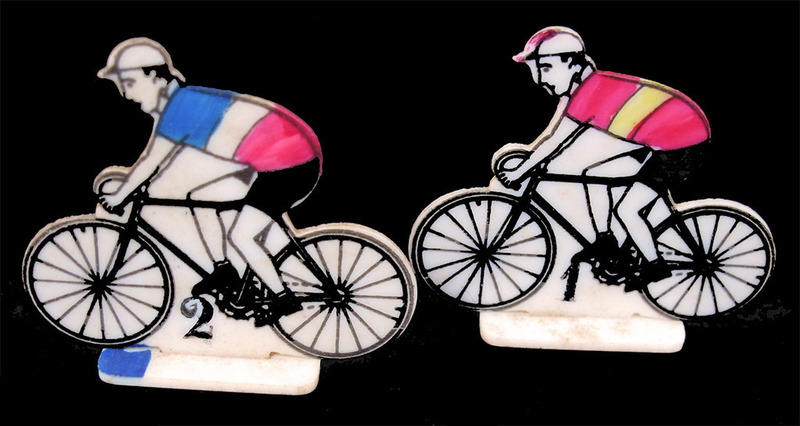 These are two original riders. Thanks again, Didier!! !